Womanly and charming, our Chloe ring has band style and adjustable width. 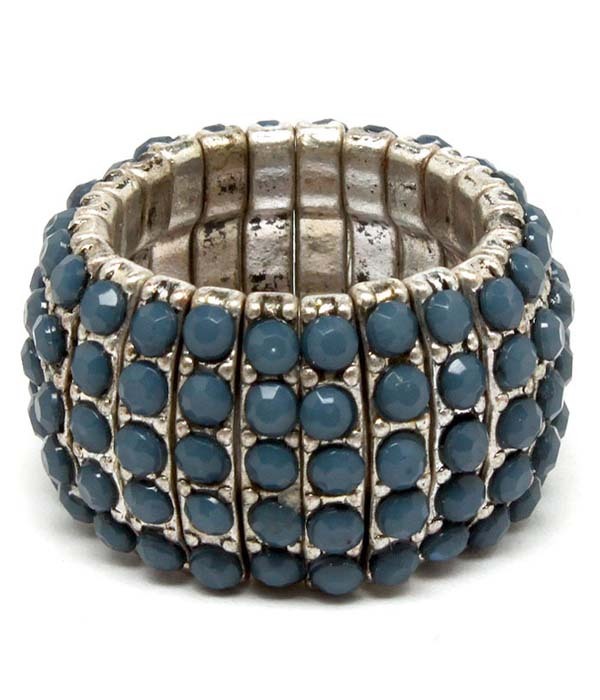 The piece is made from silver plated metail richly embellished with small sized round teal beads throughout the surface. Order this gorgeuous adjustable ring now from Australia's fastest growing online jewellery store.